On the morning of August 30, Anhui Province's second batch of “Specialized Special New Board" enterprises was held in Hefei. The 198 “specialized Special and New” enterprises in Anhui province, including Anqing Kangmingna Packaging Co., Ltd., successfully landed in the “Specialized Special New Board” jointly established by our committee and the provincial equity custody trading center. 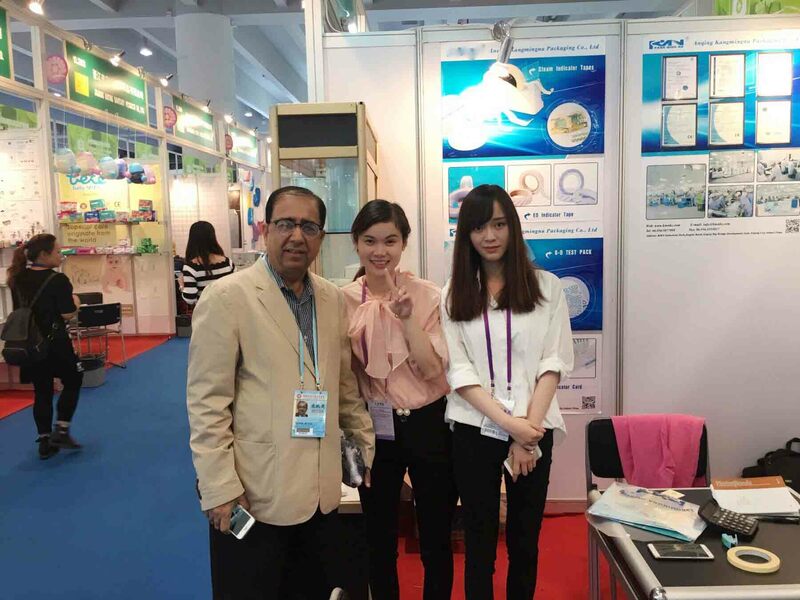 Anqing Kangmingna Packaging Co., Ltd participated in the CMEF exhibition held in Shanghai on April 11, 2018. More than 4,000 Chinese and foreign exhibitors from all the world will bring more than thousands of products in the exhibition. And the exhibition focus “Digital Medical Era”. Top experts and institutions from within and outside the United Nations will jointly hold more than 50 high-end industry forums. In February 6th in the afternoon , Wei Qing'e, director of the Economic and Information Technology Commission of Anqing and Wu Jingen and Yu Qiong, deputy directors of the Anqing Municipal Commission of Economy and Information Technology, visited our company for inspection. Accompanied by Long Qicheng, chairman of Kangmingna , they visited various workshops and the directors Long details of the company's products and some of its production processes. Director Wei and his party spoke highly of the two-way production flow of our company's informatization and industrialization. Anhui Provincial Economic and Information Development Commission organized and approved the "Specialized and New" SMEs Recognition Work in 2017 in the province. After the enterprises declared, cities and straight-line counties reviewed and approved, first instance, expert review and deliberation of the director's office meeting and social publicity And other procedures, finds that 500 enterprises such as Anqing Kangmingna Packaging Co., Ltd. are the special "SMEs" in 2017 in Anhui Province. Anqing Kangmingna Packing Co., Ltd. is a manufacturer specializing in the production, development and sales of various packaging products. The company has a very strong sense of social responsibility to help employees out of poverty and realize their own social value. The company's leading products include Self-seal sterilization pouches, Heat-sealing sterilization reel, Tyvek reel, Crepe paper, Non-woven fabric, Sterilization paper bags gusseted, steam indicator tape, EO tape, etc. With the development of science and technology as the driving force, the company will improve the economic efficiency and the living standard of employees as the fundamental starting point, and develop towards high technology, scale and effect.